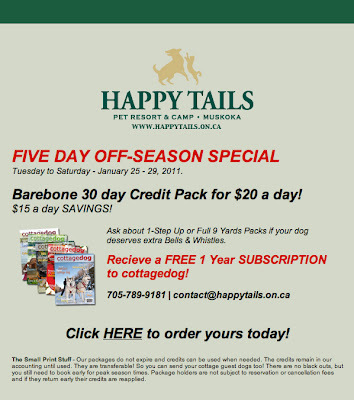 Toronto Dogs Directory: Happy Tails Pet Resort In Huntsville Offering A Fantastic Off-Season Deal! 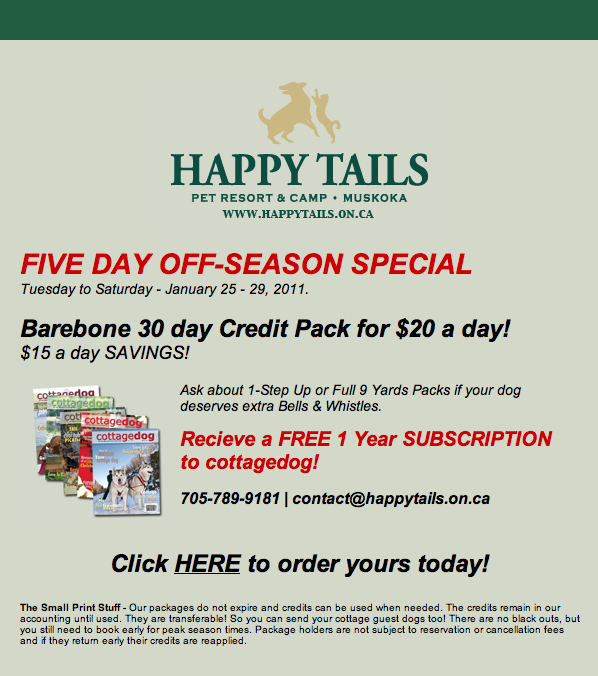 Happy Tails Pet Resort In Huntsville Offering A Fantastic Off-Season Deal! When you purchase this fantastic deal, you are saving nearly 50% off the daily resort rate! Click on the link below to see all the amazing services offered at Happy Tails! **Shuttle service from Vaughan now available!